It's easy to say that Van Damme's career is sporadically hit or miss. But there was a time early in his career (late 80's to early 90's) where he was turning out quality work and quality films on a regular basis, with a majority of them hitting the theaters. At that time he was one of the biggest action stars on the planet, at a time when Stallone and Arnold's star-power were waning, and we were hungry for some new action blood. He might not have been the best actor around, but he was dedicated, good looking and could do some physical stuff nobody else could. Timecop was right at the tail-end of his winning streak, before his personal problems became news headlines and his films became less and less fun, important and well....good. Thankfully Timecop is all of those things and more, and yet another highlight of director Peter Hyams stellar career. Let's dig in. Crackle was streaming this recently and I realized I hadn't seen it for a while. When I began watching it, I was surprised at how good it was and that it was far better than I remembered. I was also a bit surprised to learn that it's really more of a sci-fi/thriller rather than an action film. There's plenty of action for sure, but the film really puts a lot more focus into the story, which was impressively compelling, and it's thriller elements, which kind of took me by surprise, but didn't make it any less entertaining because it was awesome. Going in, there were 3 things I was most excited about: Van Damme, director Peter Hyams and Ron Silver, and all 3 didn't let me down. Ron Silver has always been a favorite actor of mine. I always love when he plays the villain, because he's just so damn good at it. Watch Blue Steel if you need further proof. And Peter Hyams is such a criminally underrated director. I won't even get into why, because I made a whole post all about him a short while back, but trust me, he's a God among filmmakers in my book. Sure his last good film was The Relic in 1997, and every film since then has been......questionable, but he did keep up a massive winning streak spanning 2 decades (80's and 90's) and delivered some incredible films that have still stood the test of time, and Timecop is a perfect example of that. He gives the film such a distinct visual style, the kind that only adds to the films overall appeal, and he never really gets the credit he deserves for it. It's a very similar style to Roland Emmerich in the 90's (see Moon 44, Universal Solder, Stargate and Independence Day), before Godzilla and CGI changed all that forever. 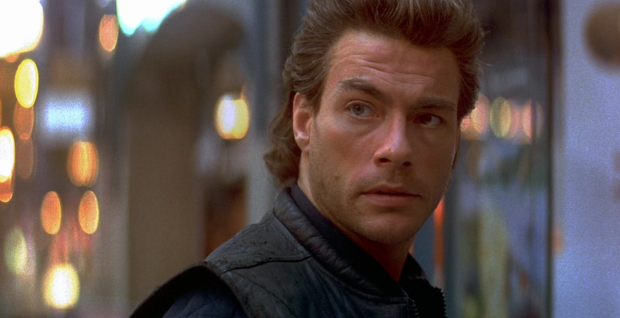 But it's really this "look" that gives Timecop so much of it's flavor. There were only 2 things that I had minor issues with. I'm sure there are other better examples, but here it seems JCVD was really struggling with his acting. At least he doesn't look tired like he does in later films like Maximum Risk and Knockoff. But here his line delivery is pretty bad, even for him. It could also be because there's more dialogue here than he's usually accustomed to, and definitely much more depth needed for his character. But you know, we don't come into these films for Van Damme's acting, right? I also felt the ending was a bit of a letdown. Usually these films slowly build up to a big finale, but this one kind of just ends without much of a bang. We do have the big confrontation, the reveal, and a bit of fighting, but none of it really packs a punch the way a finale should. 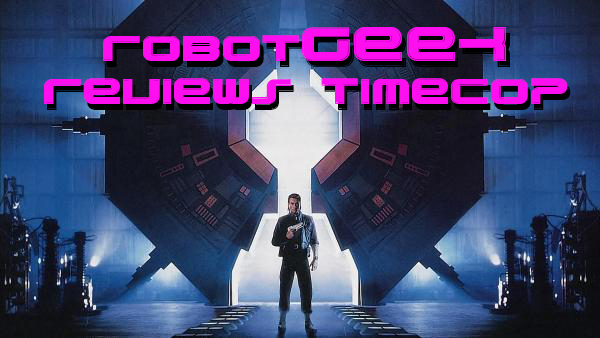 But, as a whole, Timecop delivers the goods on a consistently entertaining level and it's really just a small gripe. There was no huge crazy finale, but that's okay too. Timecop has been released numerous times on DVD and Blu Ray as either a standalone film or as part of a 2-pk with Bloodsport on both formats at a very reasonable price. I've also seen it as part of one of those Van Damme Action 4-pks, so really, there's no shortage out there. You'll find it easy and find it cheap. Me, I got the 2-pk with Bloodsport on DVD, because the DVD quality on this one is actually very good and I didn't feel it needed an upgrade to Blu Ray just yet. Plus I got it for under $5. Score! * speaking of JCVD, are we EVER going to get to see his Full Love aka Soldiers aka The Eagle Path? Anybody have any info on this?